Discover the ancient ruins of Pompeii! Pompeii holds an intense fascination for visitors today. Following the eruption of the volcano Mount Vesuvius in the year 79 AD, Pompeii lay buried and forgotten for hundreds of years. The town is high on the list of Wonders of the World and the excavations which began in the 18th century are still being carried out today. 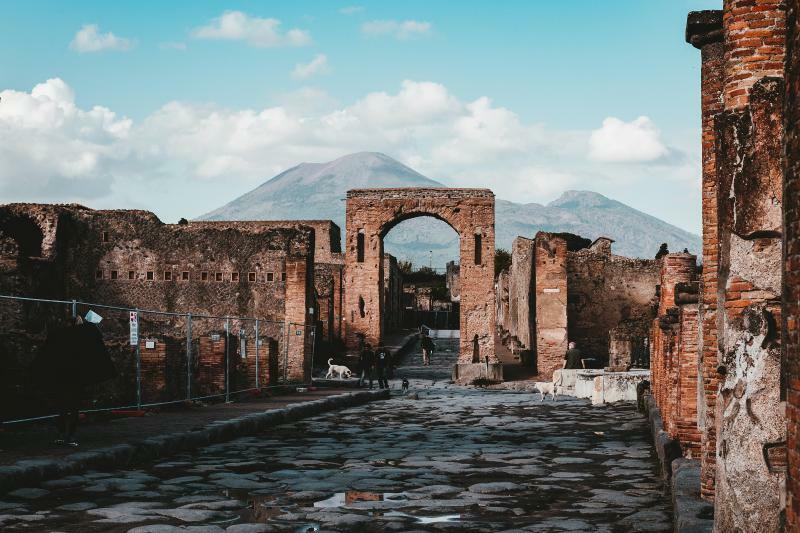 Our guide will take you slowly through some of the ancient streets of Pompeii where you can see Baths, Forums and villas built by the prosperous Romans in the year 80 BC. Marvel at the fabulously preserved frescoes which adorned the walls and floors of the villas. Even if your interests do not lie in the history, this is an archaeological site which cannot fail to impress you.